In this fearful and cynical age, when doom-and-gloomers forecast catastrophe and fearmongers try to get us to hedge our bets on the future with insurance policies and safety nets, we need to rediscover real hope. 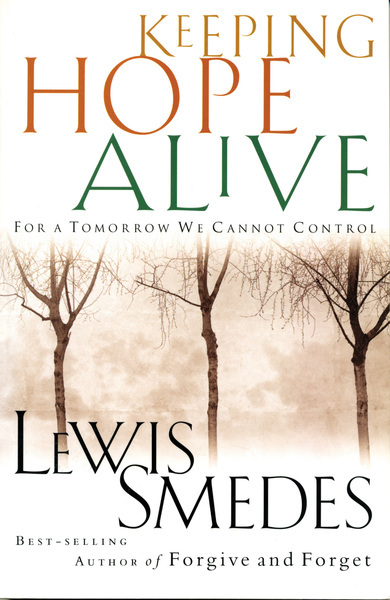 Lewis Smedes says, 'Hope is as native to our spirits as thinking is to our brain. Keep hoping, and you keep living. Stop hoping, and you start dying.' He shows how hope powers every good thing we accomplish and helps us overcome every bad thing we encounter. He talks about how to keep hope alive in difficult times, discern false hope from true hope, and move beyond worry to trust in God.